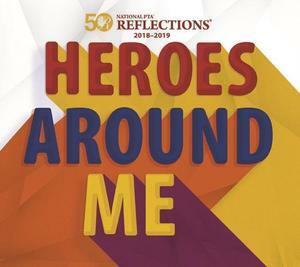 Students are invited to submit an original work inspired by the theme "Heroes Around Me" and turn it in by October 22. Create an original work inspired by the theme "Heroes Around Me" and turn it in by October 22th. Participants will be invited to a Reflections arts showcase to be held at Foothill on November 5. Advancing entries will be showcased at a district-wide Reflections event on December 3, 2018 at the Firehouse Arts Center. Click here for guidelines and entry forms.